Unaired 13th episode released with volume 7 of the Blu-ray and DVD. 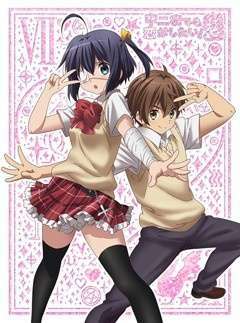 Rikka becomes displeased with Yuuta after she discovers Makoto had secretly given him a USB stick containing photos of an idol he had a crush on during middle school. Rikka and the other girls instruct Yuuta to return the stick immediately, though Makoto secretly lets him keep it. Later that night, as Rikka sneaks into Yuuta's room and discovers the stick, she inadvertently destroys it whilst trying to hide it from him, leading to the two of them arguing over who was in the wrong. With neither side willing to apologise, the girls enlist the help of Satone and Kuzuha to see how Yuuta reacts when Rikka doesn't come home, finding that he still cares about her, and the two manage to make up with each other.